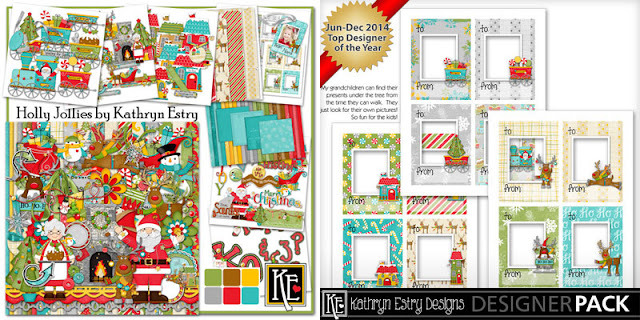 MyMemories Blog: Wednesday Challenge hosted by Kathryn Estry Designs! 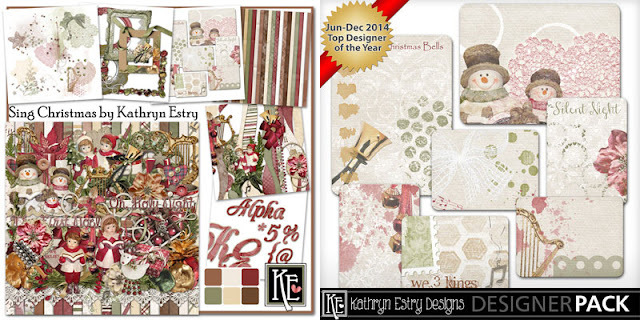 Wednesday Challenge hosted by Kathryn Estry Designs! Hi! This is Kathryn from Kathryn Estry Designs (all links listed below), and I'm happy to be bringing you our Wednesday challenge this week! It's time to get your presents wrapped and under the tree, and how fun they'll look with special gift tags. 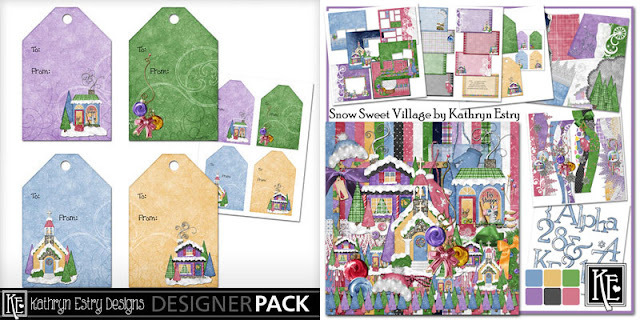 Several of my Chrtistmas collections have matching gift tags for you to use. 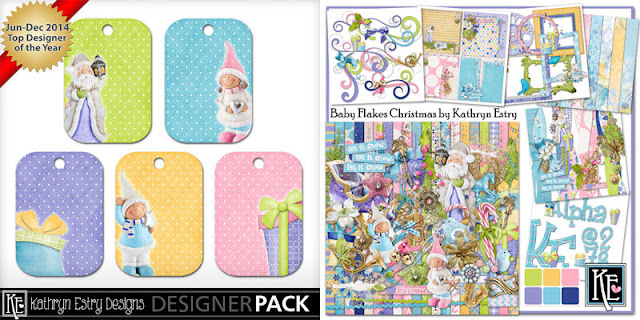 These tags and all of my other Christmas designs are on sale through the end of the month! Your challenge is to create a layout with a gift tag or print a set of tags, use them on your presents, and show us a photograph of your wrapped gifts. To get you started, HERE is a FREE set of Christmas gift tags created with Silly Snowman Gang and featuring my original characters, Sparkle, Cookie, and Sir Flake. Remember: Email nichol@mymemories.com to share your page on our Instagram & be eligible to win a promo code for 50% off your next purchase!